Financial institutions, creditors – even prospective employers – want to know just how trustworthy you are with your finances, and they look at your credit report to find out. Sometimes they even check without your knowledge, and that can have a negative effect on your credit score. A low score can be an obstacle if you’re in the market for a new home or any other high-dollar loan. They’re called inquiries. That’s the official credit industry word that means somebody looked at your credit score. There are two types of inquiries: soft and hard. One has a negative impact on your credit score, and the other does not. Let’s say that a bank was preparing a massive credit card offering mailer but only wanted to send it to people with a credit score above a certain number. It could run an inquiry to see if you should be added to their mailing list. The bank won’t ask your permission and you probably won’t know, but don’t worry, this is a soft inquiry which will have no effect on your credit score. Other examples of a soft inquiry include you checking your own credit score, or a background check initiated by your employer or another organization. Hard inquiries are different. When you actually apply for a credit card, auto loan, or any other type of credit, that’s called a hard inquiry, and it involves more than an informal skimming of your score. A hard inquiry is a real look at your credit history for the purposes of approving or denying a loan, and this action may negatively impact your credit score. But why a penalty if somebody checks your credit? Because that could be a sign that you’re in financial trouble and need money fast. Using mathematical models, the FICO score takes into account various factors in each of these five areas to determine credit risk: payment history, current level of indebtedness, types of credit used, length of credit history, and the amount of new credit. A person’s FICO score will range between 300 and 850. 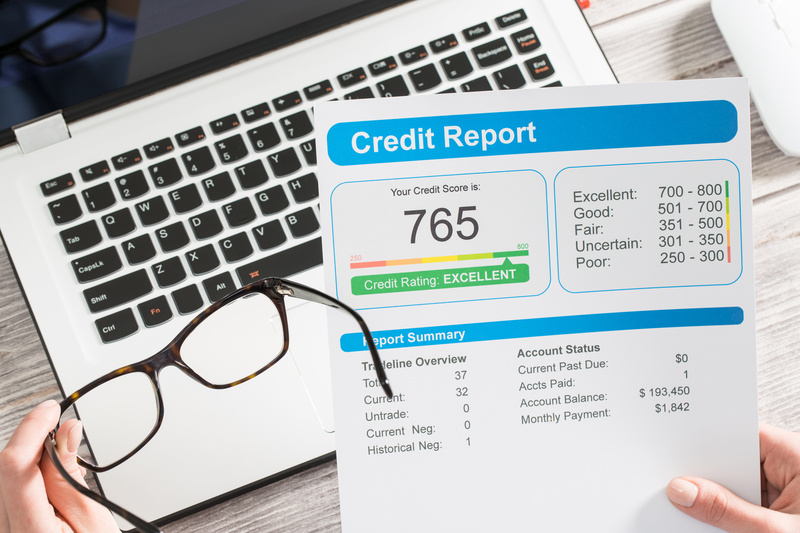 In general, a FICO score above 650 indicates that the individual has a very good credit history. People with scores below 620 will often find it substantially more difficult to obtain financing at a favorable rate. Real-World Scenarios. If you’re shopping for a home mortgage or a car loan, it’s possible that multiple credit companies will run a hard inquiry on you. Credit agencies vary slightly, but if all of those inquiries are within a 45-day “shopping” period, FICO will see them as one inquiry. But, if you’re the type that opens and quickly closes store credit cards to receive the introductory teaser rate or free gift (don’t do that), you could find yourself unable to qualify for a loan because of the number of hard inquiries and their negative impact on your credit. Five points could cost you thousands of dollars over the life of your mortgage. The Bottom Line. Soft inquiries – there is no need to be concerned. They’ll come at your report from all directions and it’s likely you won’t even know about them. That’s OK because they aren’t doing any damage to your credit score. Hard inquiries – keep them to an absolute minimum. One or two per year probably isn’t a problem, but more than that can spell trouble if you apply for a loan later. On the other hand, do not let the fear of their negative impact stop you from shopping for lower interest rates or better deals. Of course, always keep an eye on your credit report. At least once each year, check your report from all three credit bureaus for errors and dispute anything that shouldn’t be there. Note: The opinions voiced in this material are for general information only and not intended to provide specific advice or recommendation for any individual. Please remember that past performance of investments may not be indicative of future results. Different types of investments involve varying degrees of risk, and there can be no assurance that the future performance of any specific investment, investment strategy, or product made reference to directly or indirectly in this newsletter (article), will be profitable, equal any corresponding indicated historical performance level(s), or be suitable for your portfolio. Due to various factors, including changing market conditions, the content may no longer be reflective of current opinions or positions. Moreover, you should not assume that any discussion or information contained in this post serves as the receipt of, or as a substitute for, personalized investment advice from Vermillion Financial Advisors, Inc. To the extent that a reader has any questions regarding the applicability of any specific issue discussed within this newsletter to his/her individual situation, he/she is encouraged to consult with the professional advisor of his/her choosing. A copy of our current written disclosure statement discussing our advisory services and fees is available for review upon request. For more information, or if you have any questions at all feel free to call us or set up an appointment!